LaBak The Magician specializes in "adding the magic" to special occasions. He presents stand-up and close-up magical entertainment that features mystery, comedy, audience participation and fun for all! LaBak has been performing for 40 years and has been well received by audiences of all ages. 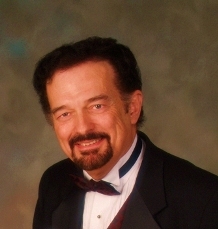 He is a member of The Academy of Magical Arts at the Magic Castle in Hollywood. As an entertainer, his greatest reward is to see smiling faces appearing in his audience. That is real magic! Satisfaction with LaBak's performance is absolutely guaranteed. If, for any reason, you are unhappy, no fee will be charged. Go With NOBODY but LaBak! Two Thumbs Up! I recently booked LaBak for our daughter's 3rd birthday and let me tell you, i would book him again, and again and ten more times. Not only is he professional and courteous, but he shows up early enough to start the show on time is extremely friendly and personable. How is his magic? Top notch! He is a true master of his craft and both the kids and adults were mesmerized as he performed these ticks right before our eyes. Literally, I am still wondering how he pulled some of them off. He has the best price in town and for the amount of experience he has and the show he puts on, it was worth the price and then some. He responds quickly to correspondence and goes over every detail so you can rest assured that if LaBak is your magician for your get-together, your guest's entertainment is in very good hands. He even did an awesome trick where he presented our daughter with an extremely thoughtful gift. So if you're looking for a top notch quality magician, stop looking and starting booking LaBak. You definitely will not be disapointed. Met and exceeded expectations! Hire him. We wanted something different and special at our wedding and LaBak nailed it. LaBak was communicative during the hiring process and extremely professional during the event. Arrived on time, walked around table to table and even performed a special trick for us, the bride and groom. Our guests were so impressed with his magic! Hire him, you will not be disappointed, rather pleasantly impressed. He was easy to work with. I loved the fact that he went around to the crowd after the show was over. The adults were really amazed by his magic. LaBak The Magician was wonderful, he was on time and very professional. Everyone really enjoyed the evening. Labak was professional and great! You never know the quality of a performing until you actually see their show live and all I can say about LaBak is - WOW! We hired him for a birthday. The audience was tweens to adults and he kept everyone amazed for his entire show. He was funny and ingenious with his tricks. He even catered some of the tricks to for birthday guest which made them even more amazing. LaBak is an quite magician.He left us in awe. I highly recommend you hire him for your event. LaBak performed at our daughter's 7th birthday party. He was awesome. Our daughter along with her friends enjoyed the tricks performed by LaBak. He had tricks centering the birthday kid which made feel very special. He captured the attention of adults too. He kept everybody engaged. LaBak the Magician did a fantastic job at my event!! He really made the event a magical one!! He was very interactive and entertaining and made that everyone had a great time! I told him exactly what I wanted for my event and he was able to deliver far and beyond my expectations! He was such a hit that everyone kept talking about the magician up until the week after my event. LaBak catered to my guests and my event! I would recommend LaBak for any event. LABOK, HOW DID YOU DO THAT!?!?!? That was really an amazing, jaw dropping, top notch performance!!! PERFECT for all ages. I had toddlers, kindergarteners, Jr. high school, high school, college, parents, grandparents, & even one great grandparent watching LaBok, EVERYONE was floored by his magic. My head is spinning just thinking about all those card tricks you showed us after your main show. That was sooo cool! LaBok was very funny, very professional, and very magic! A must have & highly recommended. Definitely coming back to our parties!! I would like to thank Labak for making my sister and her husbands rehearsal dinner a magical experience! Our guests were talking about his great performance days after. He also included a special trick including the bride and groom that made the experience so special! LaBak was an excellent and professional Magician. He was timely, age appropriate for my 5 year old and very entertaining. The adults had just as much fun as the kids and he made my son feel very important and special. I highly recommend him for any special event. We have chosen LaBak the Magician to perform at our daughter's 6th birthday party. He did an awsome job of entertaining not only kids but also adults; he was very proffessional, prompt and fun. We all liked him a lot and recommend him to our friends. Great Entertainment for Young and Old! I hired LaBak the Magician for the Soerens Ford Employee Company Picnic. We had about 80 guests including about 20 children. LaBak offered great rates, and was willing to work with our schedule of events for the day. Everyone had a great time! His tricks were mind-blowing for the adults and kids a like. The stage show was amazing everyone was enthralled and even stopped watching the Packers game to enjoy. We would certainly hire him again. He really made our picnic one to remember. We hired LaBak The Magician for our daughter's surprise 11th birthday party based on other online reviews we had read. All I can say is that his performance was FANTASTIC. All of the kids attending the party (about 22 of them) were completely engaged and entertained. We had several adults at the party as well and we were as engaged as the kids. Wonderful to work with, an amazing performance and he incorporated some special surprises for the birthday girl all making for an unforgettable event. We would recommend LaBak for any event or occassion, kids or adults. The event was a church annual dinner for about 105 people, held in conjunction with our pledge drive. LaBak was wonderful to work with from my first contact. He explained exactly what his show would be like and invited input so that the content could be personalized to the event. I have received many enthusiastic comments from attendees about how much they enjoyed his performance. One person told me that when her husband enjoys something, she knows it's special! During the performance, the audience was very responsive...a sign of a good performer. Personally, I enjoyed his humor component as much as the magic. I've seen magic shows that had a serious tone--this was much more fun and the magic was just as good. I had first seen LaBak the Magician at a charity event; he was wonderful. My son didn't stop taling about him for days. I was having my daughter's birthday party the next week and just knew I had to have him come and perform for us. He is an incredibly talented, funny and personable individual. It was a HUGE success. Everyone enjoyed his performance from the 3 year olds up to the 70 year olds. He included everyone in on his act and it couldn't have been more entertaining. I would highly recommend LaBak the Magician for ANY upcoming event you may be planning whether it be for 10 people or 110, it is well worth it! Thank you for making our special day so memorable! Don't think I'll be able to top this next year, I'll just have to have you back! LaBak the Magician is truly a fine performer. I am especially impressed with the way he personalized his show for my event and his interactive play with my friends and family. I have had alot of feed back from my guests, and, although I had a number of activities planned for the party, everyone mentions that their favorite part of the festivities was LaBak's performance. LaBak, whose real name is La Verne Bakkom, resides in Santa Clarita, California. 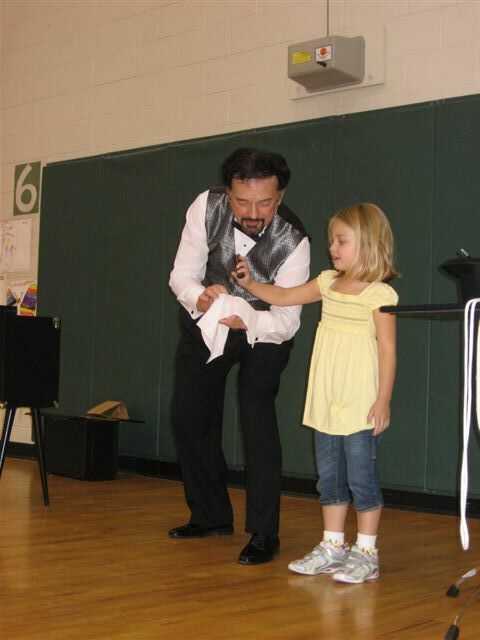 He has been delighting audiences for 40 years, performing a variety of magic programs for all ages. He is a member of the Academy of Magical Arts at the Magic Castle in Hollywood. What are some of the features of entertainment by LaBak? •	A delightful blend of mystery, comedy, audience participation and fun! •	Clients find LaBak exceptionally easy to work with, thus freeing them to concentrate on other aspects of the event. Why choose magic entertainment by LaBak for your group? Magic entertainment, properly performed, has incredible appeal. It stimulates the imagination, seemingly turns the world of science upside down and provides a journey into a wonderland of enchantment and illusion. Audience members come away with an experience they will remember. You, as the entertainment coordinator, will be credited for making a great choice. What kind of venues does LaBak have experience with? The list goes on and on, but you get the idea! What do others say about LaBak? “I'm glad you enjoyed performing for us because we totally enjoyed your performance! People have been smiling and laughing since this morning and I know it's because of you and your magic. Thank you for brightening our day and lightening our spirits. Your show was mesmerizing! I wasn’t quite sure what I was going to get when I first made my inquiry about magicians……….was I ever surprised!!!! ..... your magic experience was wonderful! The birthday bingo game that you played with them was one of the best and cutest ideas I’ve ever seen. Having the boys scream that over and over again will be a memory that Mitchell and I will never forget! Thank you again for everything that you did – you far exceeded my expectations. I’m sure the boys will be talking about it at school today – and heck, I’ve even been talking about it at work. So, perhaps if anyone in the office ever needs a magician, I’ll tell them how they can magically make one appear!